The St. Agnes Carnival tradition dates back many years, to the time when the village streets would have been lined with miners and fishermen, bal-maidens and fishwives. 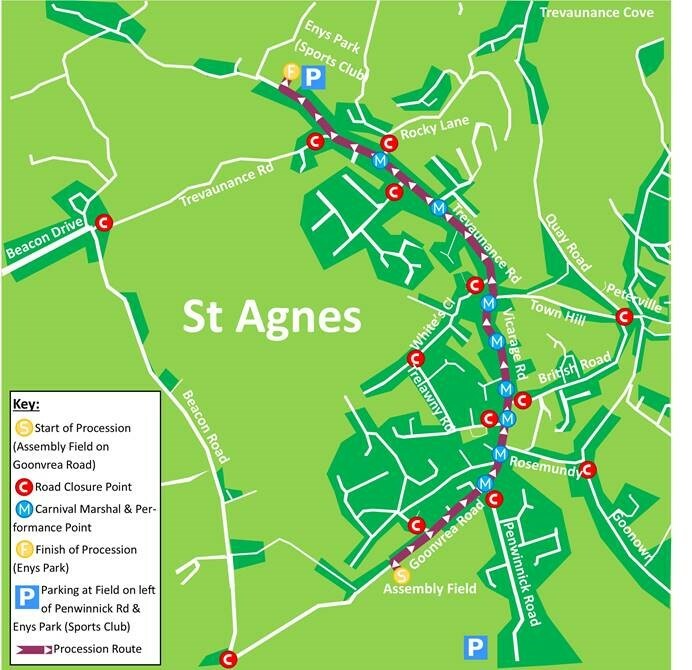 Today the St Agnes Carnival is the highlight of the year not only for the people of St Agnes parish but also for holiday-makers, many of whom even book their holidays to coincide with that magic first week in August. 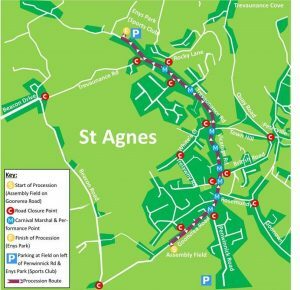 What makes St Agnes Carnival such fun? Well you won’t see expensive corporate floats or elaborate frozen tableaux. You will see lots of fancy dress, local bands and people of all ages having a great time! Clever floats, great ingenuity, even dance routines, all led by the famous Giant Bolster! 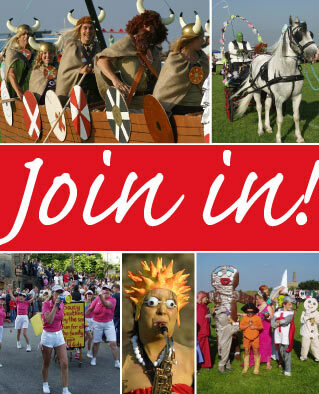 If you are a visitor then it’s easy – pick up a leaflet and support any or all of the events you choose. There’s something for everybody. All the family will have a great time and you’ll get a taste of the real Cornwall. Locals, get your act together and enter the Carnival Procession. Entry forms are available in many of the village stores and it’s never, or almost never, too late to enter. For those who really want to make a difference there is another option. Join the St. Agnes Carnival Committee. Be part of the team that makes it all happen. You don’t need experience, just the time to make one meeting a month with a little extra effort in July. You can do it! If you are not in the procession and would like to help the committee on the day please contact any committee member who will be delighted to accept your support. Finally a word for our sponsors: The local businesses and organisations who make it all possible. Thank you.